Welcome to Third Earth - home to the ThunderCats following the destruction of Thundera. Reenact key battles between the ThunderCats and their enemies with this Lion-O action figure from Funko. 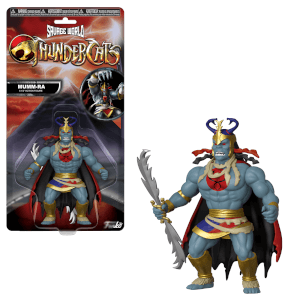 This Lion-O, Lord of ThunderCats figure comes with the mighty Sword of Omens.